The Hot Plate Stirrers offered here are the best selling and most versatile products of this kind offered anywhere. We have selected Hot Plate Stirrers that are safe and economical with uniform heating and rugged construction to meet the most rigorous laboratory requirements. These Corning stirrers have a durable glass-ceramic 4 x 5 inch Pyroceram top and offer superior performance and reliability in a low profile, space-saving design. Exclusive closed-loop stirring control monitors and regulates the stirring speed for aqueous, viscous, or semi-solid solutions. A stronger, larger magnet improves stir bar coupling and stirring capability. 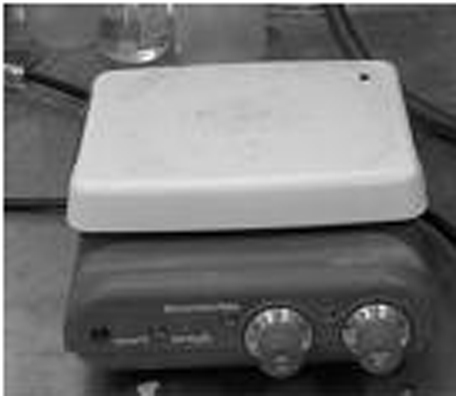 A benchtop glass-ceramic surface magnetic stir plate used for continuous mixing or agitation. Enclosed microprocessor electronics provides stirring control and the ceramic top allows for an easy to clean and corrosion resistant white surface. 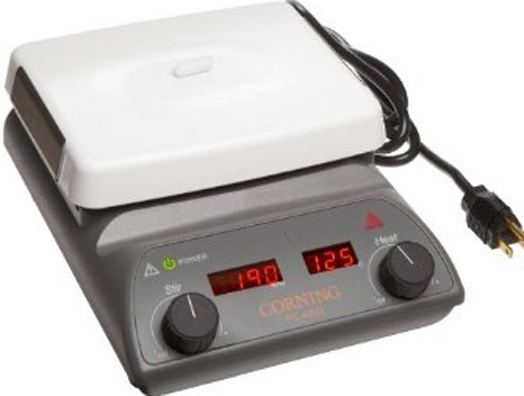 The Corning PC 320 Hot Plate Stirrer features dial controls for stir and heat. The Corning PC-351 hot plate stirrer has a study ceramic top and independent heating and stirring controls. 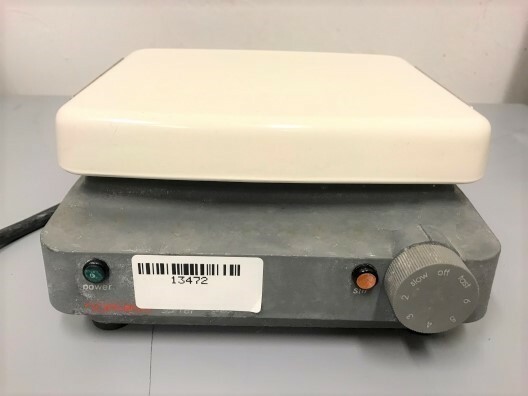 The Corning PC-353 Magnetic Stirrer with variable stirring speed from 80 to 1000 rpm. The base is epoxy coated aluminium and the ceramic top plate that measures 5x7" is highly resistant to scratches, chemicals and corrosion. 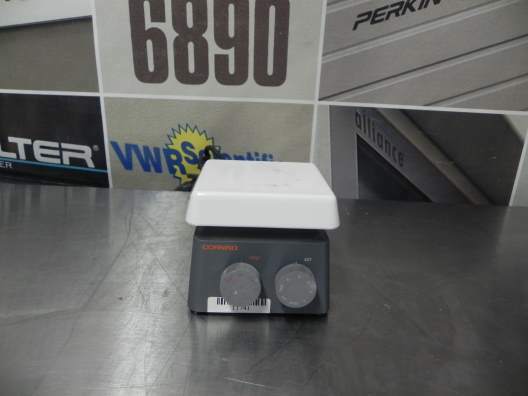 The Corning PC-400D hot plate has a 5 x 7 (12.7 x 17.8 cm) Pyroceram top and digital temperature display. It is designed to operate on 120V/60Hz with standard US three-prong plug for use in North America and other areas with similar electrical requirements. The Corning PC-410 Stirrer features dial controls for stir, an indicator light for power and a 5" X 7" platform. Exclusive closed loop stirring control monitors and regulates the stirring speed from 60 to 1150rpm for aqueous, viscous or semi solid solutions. 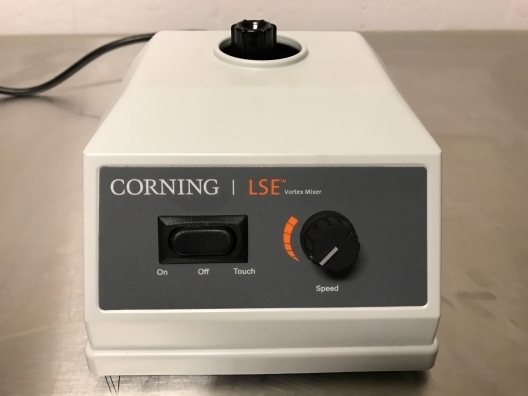 Top Size: 5 x 7"
Dimensions: 11 x 4.25 x 7.75"
The Corning PC-420 stirring hot plate has a 5" x 7" (12.7 x 17.8cm) Pyroceram top and temperature and stirring speed displays. Designed to operate on 120V/60Hz with standard US three-prong plug for use in North America and other areas with similar electrical requirements. 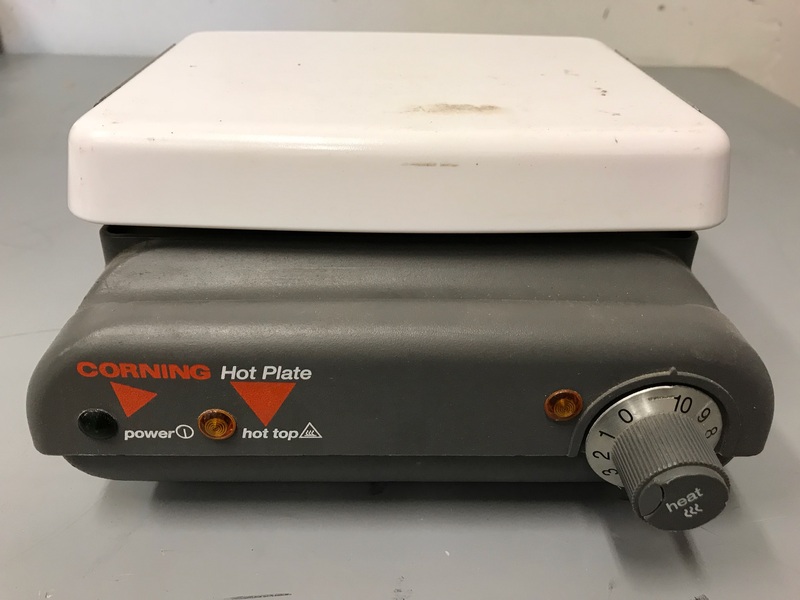 The PC-520 Stirrer Hotplate features dial controls for stir and heat, an indicator light for power and a 10-1/2" X 10-1/2" platform. A microprocessor ensures minimum heat-up times for samples by supplying maximum power to the heating elements when cold.